Welcome to Hanover. A community school at the heart of its community, Hanover is an exciting place to learn. A place where children and adults alike are on a constant journey of discovery. Set by the side of the Regents Canal with astonishing views across London from our rooftop playgrounds, it is hard not to be aspirational at Hanover. We really are at the heart of one of the most vibrant cities in the world, and we want our children to benefit from all that London has to offer. Our neighbours include some of the most creative and interesting organisations and businesses in the world – a constant reminder that we have a huge responsibility to prepare our children for an exciting and challenging future. We are a successful school. OFSTED recognised this in their most recent inspection, and our results also support this statement. 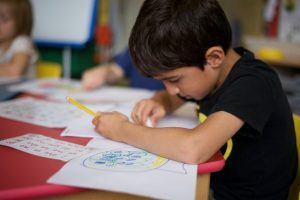 Children are challenged to make rapid and sustained progress through expert teaching and a carefully tailored curriculum. We are not an exam-factory however, and recognise the need for a broad and exciting curriculum. 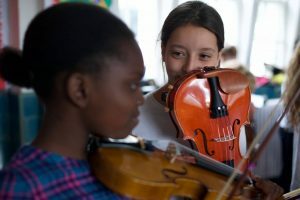 The arts, physical education, computing, science, the humanities and the development of character are just as important as maths or English results, and it is through a combination of all areas that children are enabled to leave our school ready for the challenges and opportunities that await them, and ultimately, for jobs that may not even exist yet. We want our children to become critical thinkers, to be resilient and resourceful, and to be able to work together to solve problems, and recognise that it is through the development of a relevant and interesting curriculum that these aims are most likely to be met. Parents and carers are the prime educators of their children, and they are welcome at Hanover. 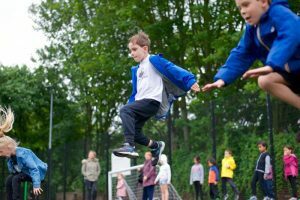 We actively encourage that they come into the classrooms at the start and end of each day, and there are many opportunities for involvement at our school. Our openness and apparent informality is loved by many. We do not have a uniform, and children know adults by their first names. Do not be fooled however – we have extremely high expectations, and behaviour is very good! 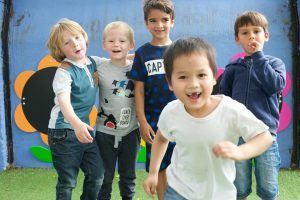 We believe that children learn best when they feel safe and understand the rules, and work hard to create a learning environment where everyone is happy, well-motivated, well behaved and healthy. We wish to instil a lifelong love of learning at our school. We are all on a learning journey, and our expectation is that everyone should be improving all the time. This applies to the children at Hanover, but also to our highly skilled and experienced staff team. We are committed to being the best school that we can possibly be, and also to the success and happiness of all those who are a part of our community. With hard work and a belief that we all have a part to play, Hanover will go from strength to strength. How might you contribute? My name is Jack Sloan, and I took on the headship at Hanover Primary School in September 2016. 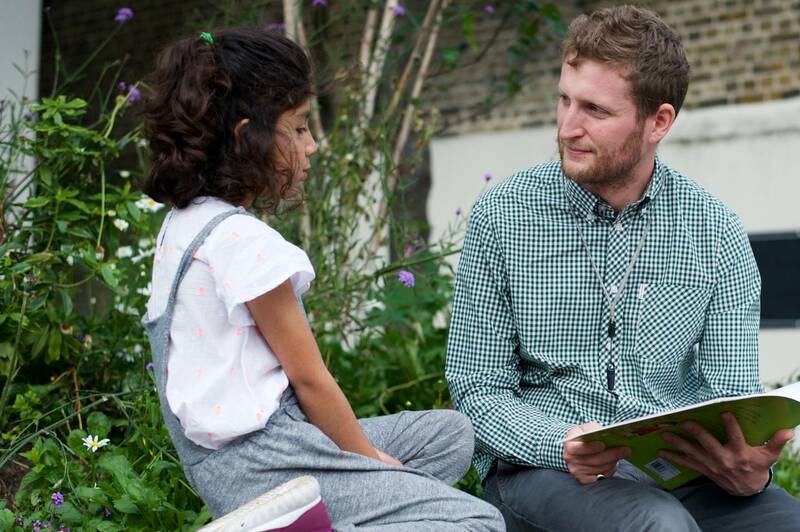 I grew up not far away from the school in Dalston, and loved my time at primary school. I particularly enjoyed writing and music, and eventually went on to do a music degree in Manchester because I had been inspired by several people at school, including the terrifying Ms Litvenof. She had very high expectations, and believed that children could do amazing things with the right guidance, and if they worked hard. Partly because of her, I ended up singing regularly with the English National Opera and Royal Opera, which was an incredibly exciting experience for a 9 year old! I spent a huge amount of my childhood outside. I lived in a very urban environment, but was lucky to be taken out to the countryside often by my parents. I also started camping with Forest School Camps at the age of 7, and would go off with my rucksack for two weeks each summer to learn about how to light fires, build shelters, cut down trees and cook food for 80 over a fire. I went on to volunteer for the charity, and still run camps to this day, taking children and teenagers to wild and wonderful places. I believe strongly in the power of outdoor education, and have always sought to bring this in to my teaching in schools. Once I had completed my music degree, I ran a recording company, and taught children to ride bicycles. After a few years, and in whatever jobs I did, I realized that I kept being drawn to working with children, and thought that I should, perhaps, listen to this! I completed a PGCE in Manchester, and ended up working at Chorlton Park Primary School, an amazing school where it felt as though anything was possible, and where children were encouraged to take real responsibility for their learning. After this I moved back to London, and taught at Ferry Lane Primary School in Tottenham. This was a great school, with tremendous children who worked amazingly well with each other. I came to Hanover as the Deputy Headteacher in 2012, and hugely enjoyed working with Mandy Reese who was the headteacher. I love this school, and want to build further on the many strengths that I see here. I am committed to maintaining the breadth of the curriculum, whilst ensuring that all children make huge progress whilst at school. I am so excited about leading our amazing staff team through the coming years. I take the responsibility very seriously, and want to hear from you about how it is going.